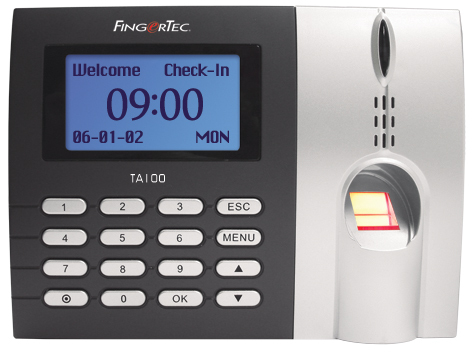 The AC900 Series fingerprint reader has two functions in one system; as a door access control to manage entries to certain premise via fingerprint identification and verification and is also meant to record staff’s time and attendance. With AC900 Series, staff are more manageable and there is no worry of unauthorized entries to a premise because every person must get their fingerprint before they can be acceess granted. 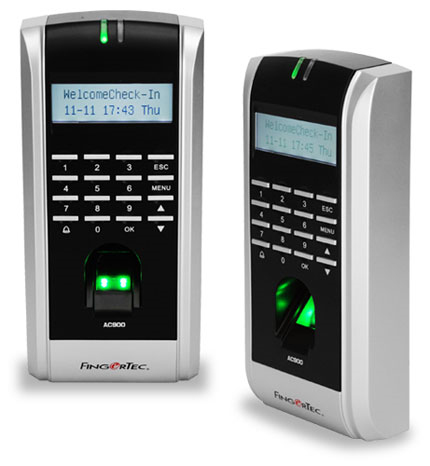 The TA100 Series fingerprint reader is designed to record time and attendance by using fingerprint identification and verification. It is designed to replace the conventional punch card as well as other card systems. It is capable of recognising the recorded fingerprint templates in seconds and therefore, has been successful in eliminating buddy-punching activity, a makor nuisance in human resource management.